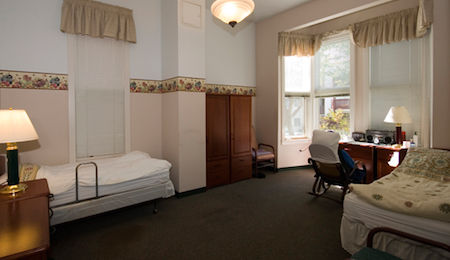 Independent living is seen as a step in eldercare right before the option of assisted living. Self-Help for the Elderly offers independent living services and housing to give seniors an option to remain independent and on their own, with the benefits of having assistance available. It emphasizes the social and personal aspects that senior citizens require assistance with. Seniors desire to age with dignity and would still like to remain as independent as they can. Elders prefer to continue to live on their own for as long as they can be self-sufficient, so independent living for seniors allows them to live in their own homes or in an independent senior housing facility. Seniors are given the ability to live in their own home and community comfortably and safely. Even though they are living on their own, we still provide them with assistance in whatever they request and need help with. Since cooking may not be an easy task, the seniors can receive hot meals through our meal program. Seniors are also encouraged to attend planned activities and events. We are dedicated to improving the quality of life for older adults by empowering seniors to help themselves and by providing a comprehensive range of services. We are committed to the seniors’ security, freedom and peace of mind and promoting their independence, dignity and self-worth. Under our care, seniors will gain access to programs and services which will empower them to make lifestyle choices, to enhance their standard of living, and to achieve the best possible health. To learn more about independent living and the options for your loved one, give Self-Help for the Elderly a call today.